With a maximum group size of only 13 passengers on Vagabond and 16 on Driftwood, the experience we offer is more like travelling with a group of friends than being stuck on a coach tour. Our groups tend to be made up of individuals, couples and small groups of friends. There is a real sense of traveling with like minded people. 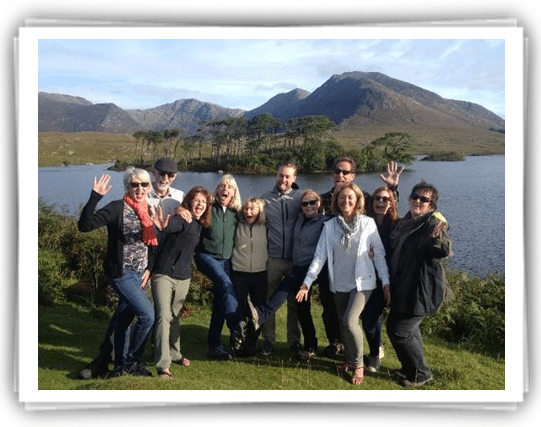 The smaller group sizes mean that our service is very personal, from the booking process to the tour itself. We don’t have to use large hotels in big towns, but get away from the crowds and stay in smaller hotels and guest houses in some of Ireland’s most remote and picturesque spots. It allows much more flexibility, so if there is something specific that people in the group want to see or do, then we will do our best to arrange it. Are you ready to start your Irish Adventure? Check out the differences of a Driftwood and Vagabond tour here.